This is the last post about improvements for the MIPS RS2030 – but it will be open-ended and updated as time/project goes by. After the resurrection of this little workstation I still wasn’t totally satisfied. As said, the console is a strange 2/3 box and obviously running in an unaccelerated slow-scrolling graphics mode – every 80286 PC console is faster. So for starters, I switched to a remote session. Luckily the network-setup was, while yet primitive, very easy. Definitely sufficient for telnet and ftp – remember, we’re roughly in the year 1990 and the world is pretty much black-hat-free… and so is my LAN, so I don’t care. Hey, we have a mighty frame-buffer, made for 1280x1024x8 pixels, so what’s more natural than running X-Window?! 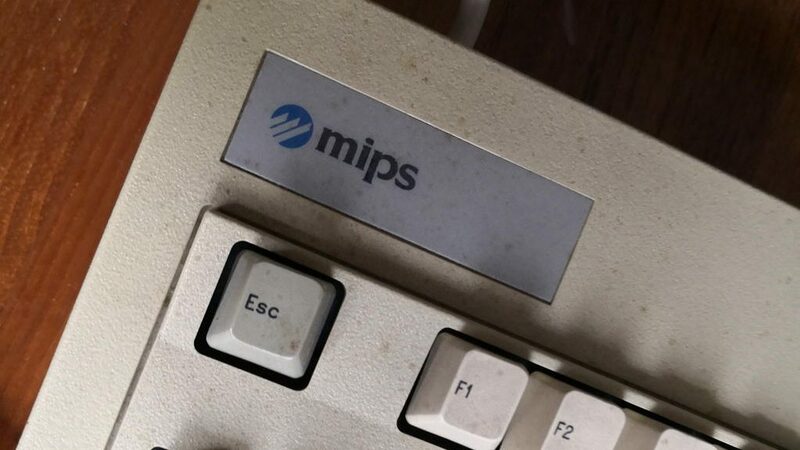 MIPS actually sold “RISCWindows” separately for mucho $$$. It was an “optimized” X11R4… well, while the frame-buffer (i.e. no acceleration) isn’t anything special I really wonder what had been optimized? Time for “real men™”, let’s install X11! And just because we can, we pick X11R5 because it fits the time around 1992. 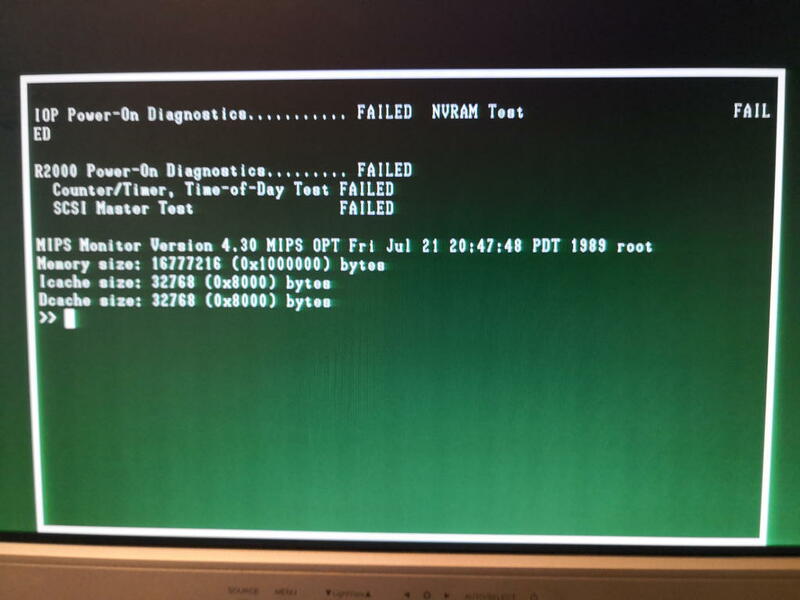 Around then I did the same for a SPARCStation 1… memoriiiiiiiies. So I downloaded the X11R5 sources and very soon some new behaviors kicked in. A 16MHz machine is not the fastest kid on the block. Combined with the RS2030 lame I/O performance file decompression is a drag. So it’s actually much faster to copy an uncompressed tarball over the slow 10mbps line than having a smaller file transferred quickly and then let the 2030 chew on it forever (ah, and there’s no gzip out of the box – you’d have to gunzip & compress it on another machine before). gave an instant error… the crappy RISCos sh does not know about redirection of every output into one file 😐 So I had to make sure it’s using csh… and while were at it: You have to switch the system to BSD mode (vs. System V). This can be done by putting /usr/bsd43/bin into your $PATH before anything else. Many makes later I wondered why make always remade all objects. Reading Imakefile and many Makefiles did not light a bulb. Then there it was –facepalm– all source-files hat a creation date of 2018 because I unzipped and compress‘ed them on my Mac. And while the tools and libs on RISCos aren’t Y2k aware, the filesystem sure is. Doh! Memo to myself: Touch all source files once before running make! Remember, we’re in 1999 on this system. This is important because a full make of X11R5 takes 6hrs on the RS2030! X11R5 as vanilla as it gets, runing the classic twm window-manager. The lower xterm shows hwconf, the grandfather of IRIX’ hinv. Currently I’m fighting with fvwm – this would be a good window-manager given it’s about the same size as twm but much more versatile. Un-tar to/usr/src, make sure your date is set beyond that of the files in the archive. The archive is ‘un-cleaned’, i.e. all binaries and objects are still there. This way you can just call make install to install this build onto your system – or make adjustments to sources without having to wait half a day for the compile run to finish. Again, you will need a RISCos 4.5x system – it does not make any sense on any other system than a MIPS box! Many years of Linux and other grown-up UNICES make using RISCos very…. tedious. The standard shell is IMHO a serious pain… the supplied csh makes life better but still, it could be better. You can download the above mentioned binaries as tarball over here. Please mind, they’re totally useless if you don’t have a MIPS RISCos 4.x machine. 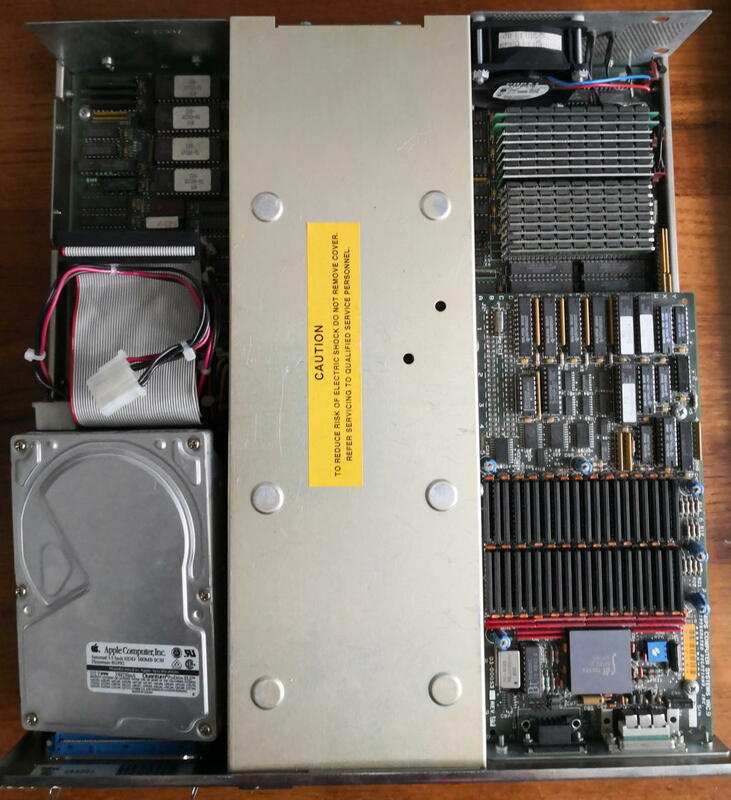 There’s not much to mod here – especially given that replacement parts are hard to get in case something went wrong. I tried to replace the very loud fan inside the power supply. But this did not work out as well as it did e.g. with my Sun Blade 150. This is mainly due to the fact that this single fan not only cools the PSU but the whole system and thus needs quite some static-pressure which simply can’t delivered by standard PC fans. If interested, read more about cooling vintage workstations in this post. The Weitek Abacus FPUs were always special, exotic and unaffordable for the most of us. Today they additionally got a touch of a mythic being, especially as 386/486 boards featuring the special WEITEK socket are dying out fast. Not mentioning the Abacus FPU itself. 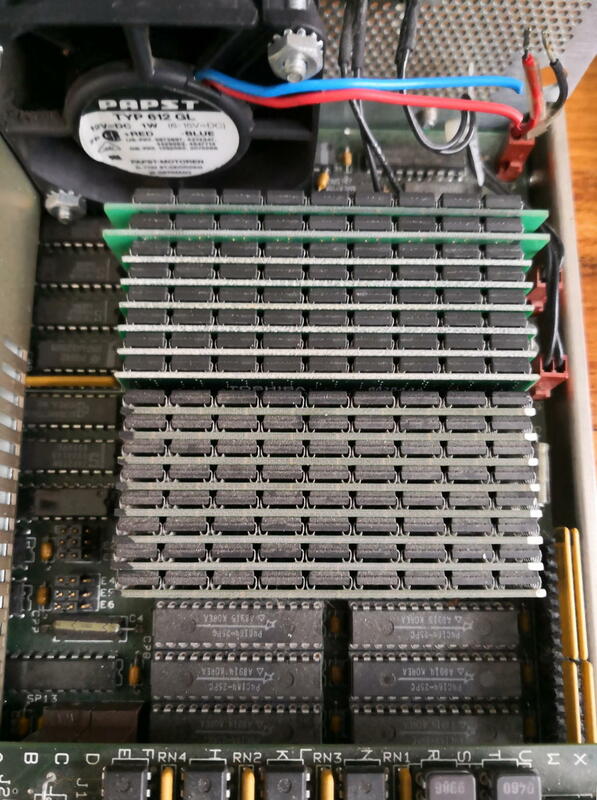 Recently I had a mail conversation about the Abacuses and because they’re are memory mapped, I thought they might actually fit quite good into the range of my other accelerator post as the DSM860 or all those Transputer cards. I wasn’t planning to go into all the details about the Abacus models 3167 and 4167 and went looking for a handy Wikipedia link. To my surprise that article is pretty general and just briefly touches all product ever made by WEITEK. So, the best source of technical information about these FPUs is the highly recommendable posting “copro16a.txt“, written by Norbert Juffa in 1994. 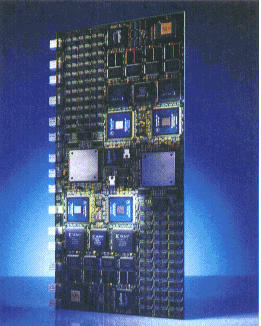 The architecture of the Weitek chips differs significantly from the 80x87. be referred to as such here. In contrast to the 80x87 family, the Weitek Abacus does not support a double extended format, has no built-in transcendental functions, and does not support denormals. The resources required to implement such features have instead been devoted to implement the basic arithmetic operations as fast as possible. While the 80x87 coprocessors perform all internal calculations in double extended precision and therefore have about the same performance for single and double-precision calculations, the Weitek features explicit single and double-precision operations. For applications that require only single-precision operations, the Weitek can therefore provide very high performance, as single-precision operations are about twice as fast as their double-precision counterparts. 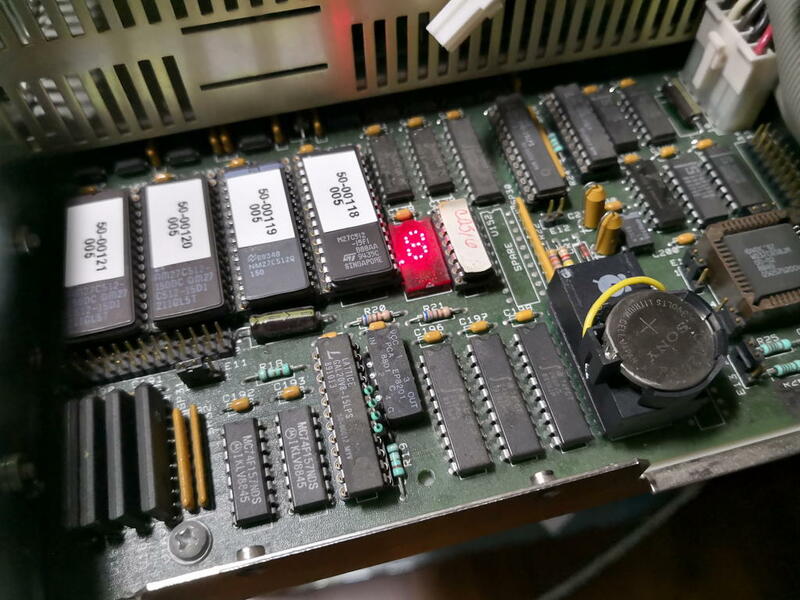 Also, since the Weitek Abacus has more registers than the 80x87 coprocessors (31 versus 8), values can be kept in registers more often and have to be loaded from memory less frequently. This also leads to performance gains. This memory-mapped interface is much faster than the IO-oriented protocol that is used to couple the CPU to an 80287 or 80387 coprocessor. 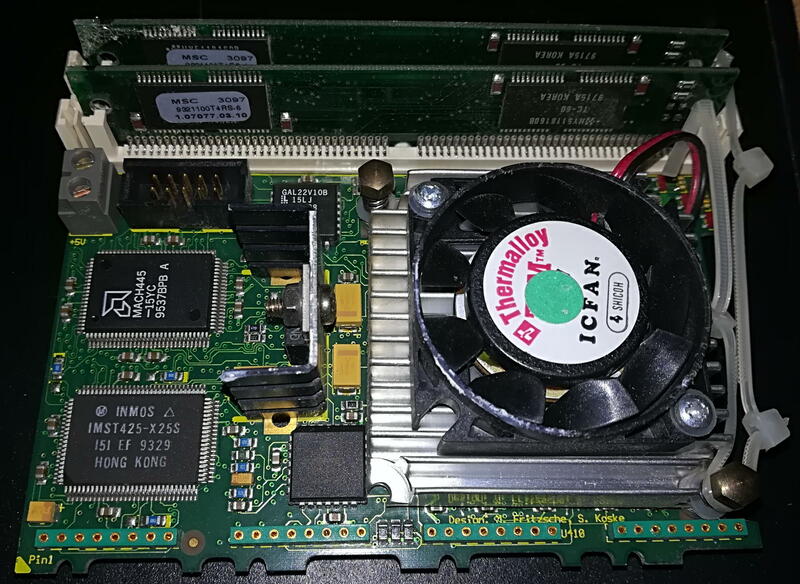 The Weitek's memory block can actually be assigned to any logical address using the MMU (memory management unit) in the 386/486's protected and virtual modes. This also means that the Weitek Abacus *cannot* be used in the real mode of those processors, since their physical starting address (0C0000000h) is not within the 1 MByte address range and the MMU is inoperable in real mode. 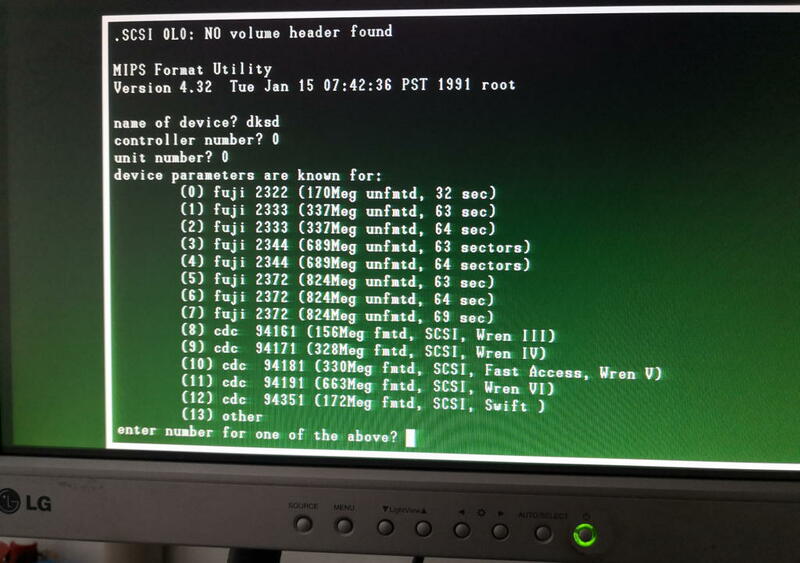 However, DOS programs can make use of the Weitek by using a DOS extender or a memory manager (such as QEMM or EMM386) that runs in protected/virtual mode itself and can therefore map the Weitek's memory block to any desired location in the 1 MByte address range. Typically the FS segment register is then set up to point to the Weitek's memory block. On the 80486, this technique has severe drawbacks, as using the FS: prefix takes an additional clock cycle, thereby nearly halving the performance of the 4167. Most DOS-based compilers exhibit this problem, so the only way around it is to code in assembly language. Ok, so we have a good idea how the Abacuses work and how they can be used. … but what’s the story behind the company? “Founded by Chi-Shin Wang, Edmund Sun, and Godfrey Fong (President and CEO) in 1981 in San Jose. All founders immigrated from China. 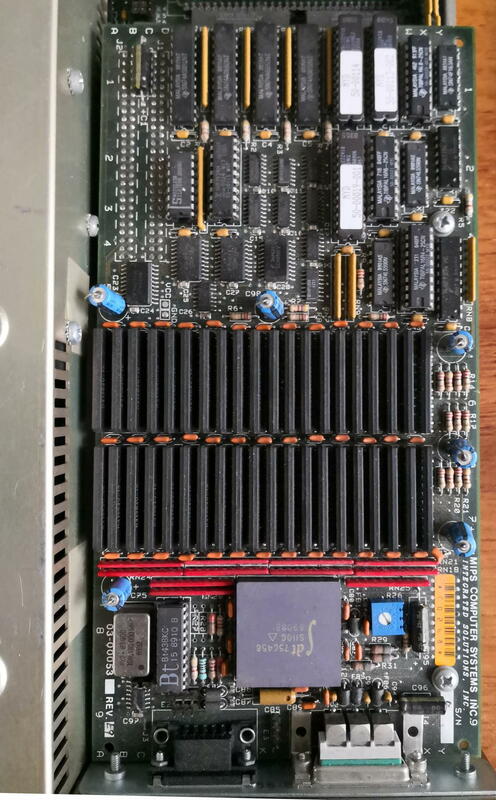 When dramatically loosing ground to the 486DX2 Weitek moved away from the x86 platform and concentrated on SPARC CPU and FPUs as well as MIPS FPUs. That worked quite well for some time and in the 90s they finally moved into the frame buffer and graphics accelerator business. 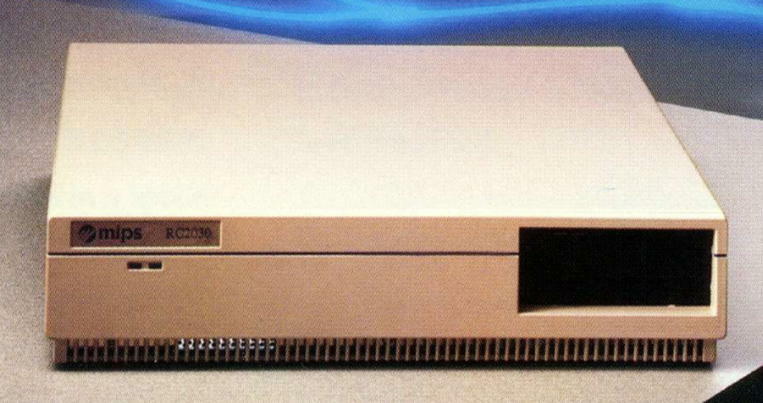 Their POWER P9000/P9100 models were quite successful but lost when players like S3 and ATI started to flex muscles. So from our (PC-compatible) perspective there are two models of interest: The 3167 and the 4167. Basically they only differ in the bus protocol to either the Intel 386 or 486. If you need more detailed data, I make the original specs available here for the 3167 and 4167 as PDF. Weitek Corporation and ICECAP Technologies announced today that users of 50MHz Intel 80486-based personal computers can realize a 50% performance increase for numeric-intensive applications by combining the 33 MHz version of Weitek’s Abacus 4167 math coprocessor with the ICECAP thermal management device. Superior system performance is achieved without degrading system reliability. Applications that took advantage of the Weitek Abacus were scarce. AutoShade, Autodesk Renderman, 3-D Studio were the most prominent to use a Weitek coprocessor. 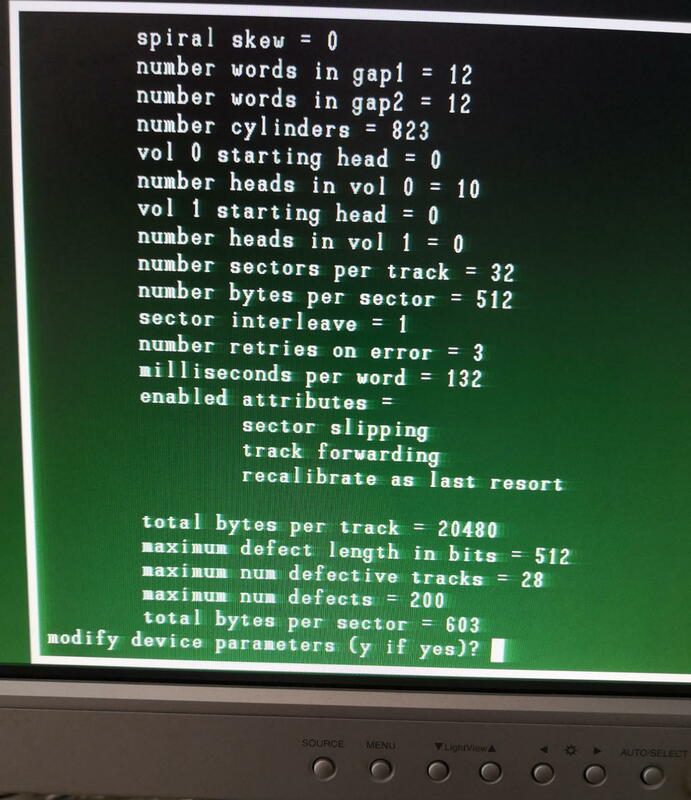 A test tool wich checks for an Abacus presence using INT 11h BIOS calls. 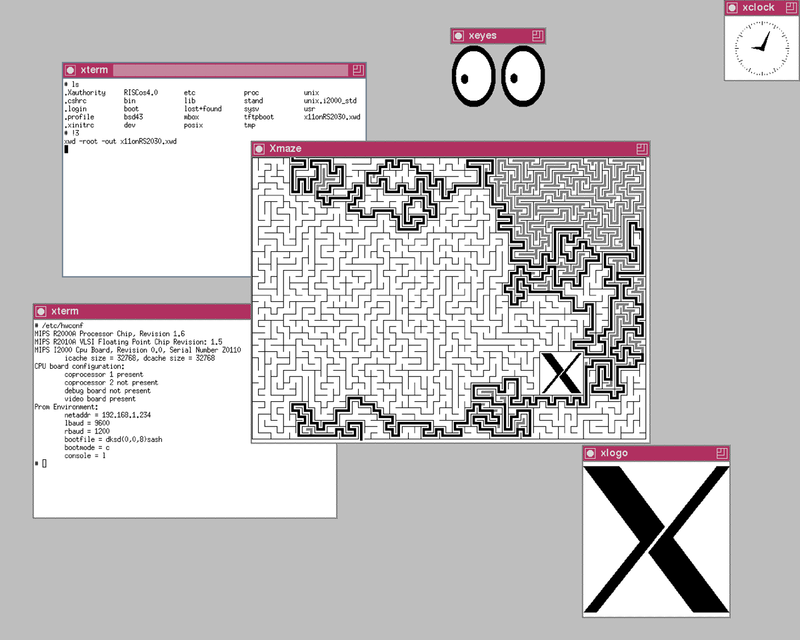 When I find the time to pull out my Weitek-PC, I’ll post pictures of the demos… feel free to comment if you feel I’ve been missing out something. Well, because I’ve been asked every now and then… I’ll briefly touch the “Post-Transputer era” of Parsytec and thier PPC products in this Post. These are the only Parsytec products which truly and directly bridge ‘old-world tech’ (i.e. INMOS) with ‘new-world tech’. The PowerTRAM – available from 1994 to ca. 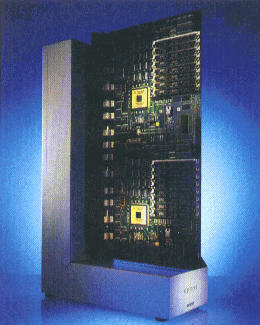 1996 – was a size-4 TRAM featuring an 80MHz 601 PowerPC which is memory-mapped into a 25Mhz T425 memory. The Front has all the glamour. 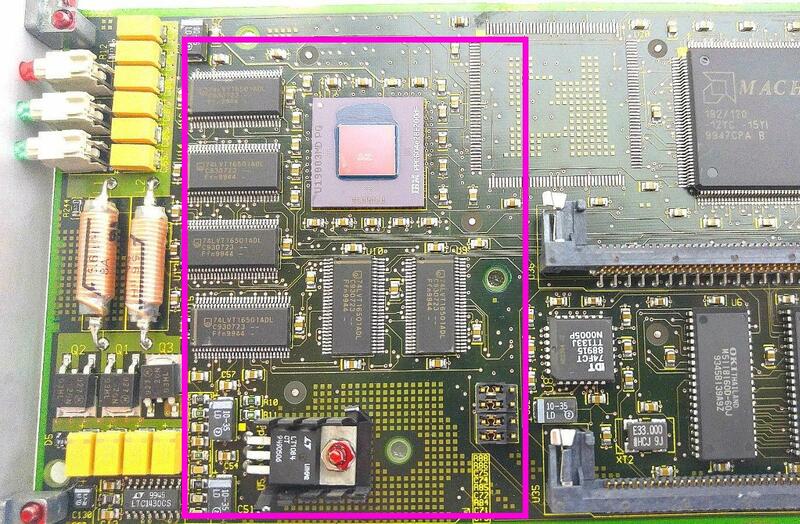 In the lower left corner you can spot the T425 in a QFP package, above it is a MACH FPGA most likely containing the glue logic. 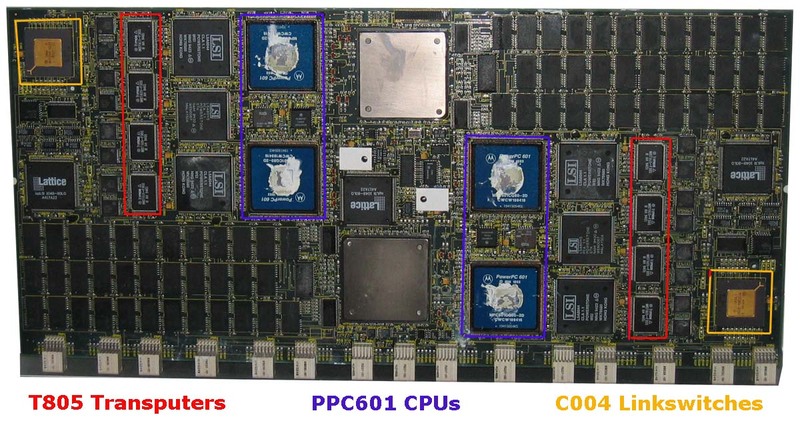 The remaining space is used by the mighty PPC601 hidden under a huge heat-sink and a fan (the 80MHz version was the fastest 601 fabricated using a 0.6 µm CMOS process and ran quite hot) as well as two PS/2 SIMM slots for its RAM. 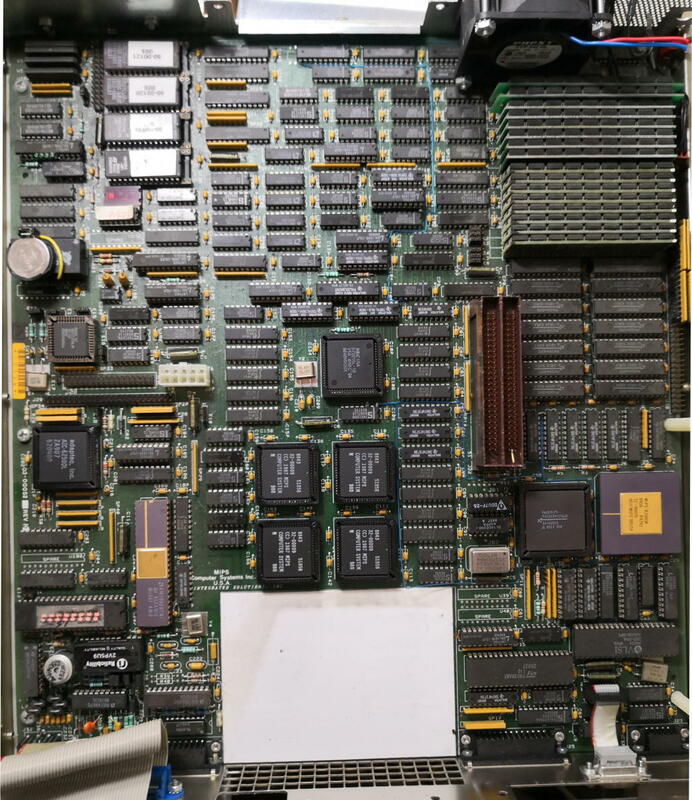 The rightmost third of backside is populated with 1MB of RAM for the Transputer and the classic logic to connect it (mainly latches). 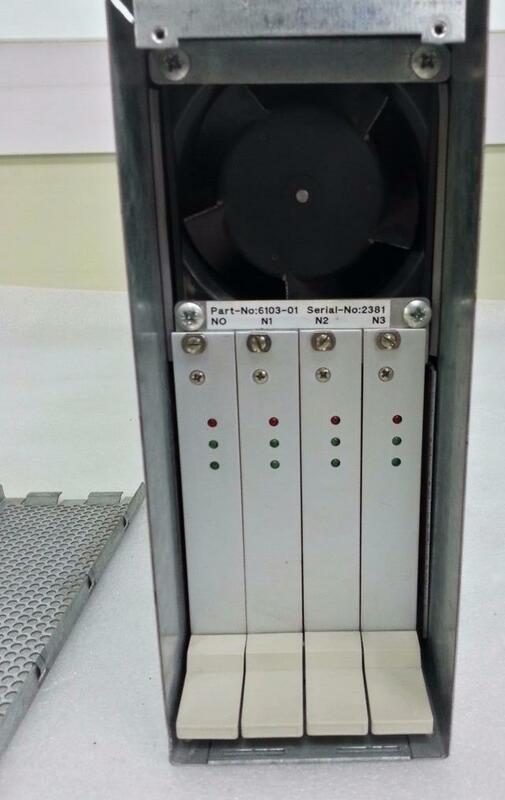 The left two thirds are used up by quite some transceivers. 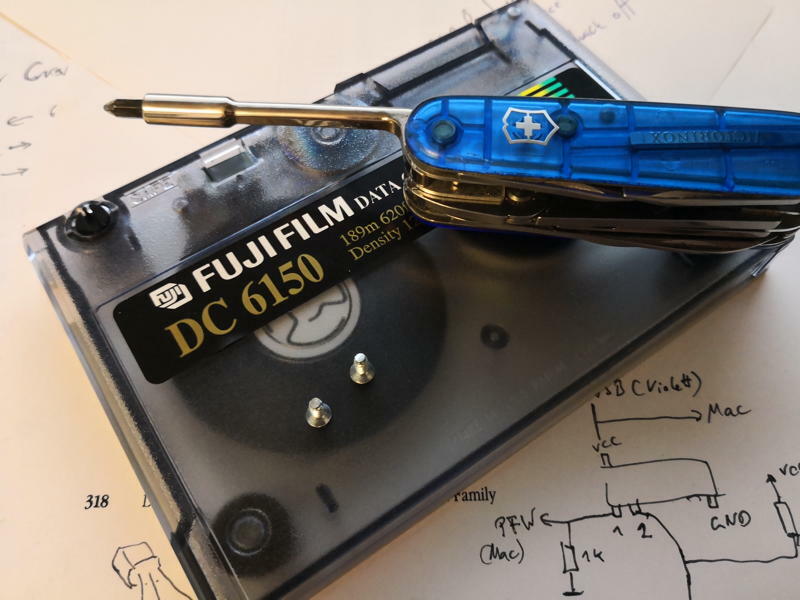 Namely six ABT1852 18-bit bus transceivers (the square ones) which most likely connect the Transputer and PPC busses as well as covert the latter 3.6V level to the the T425 5 volts. Well, yes, there was another x’plorer in existence. 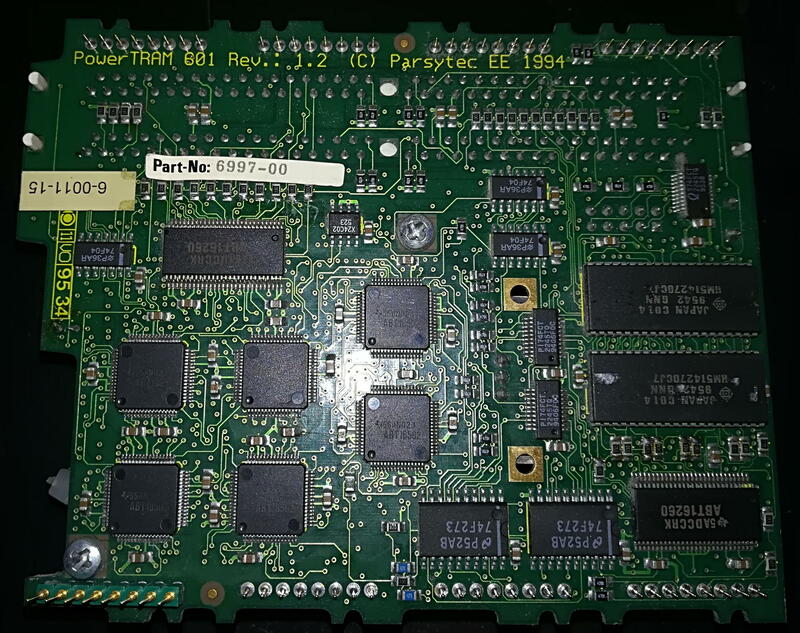 As with the GC-system, Parsytec later offered the “PowerXplorer”- you may guessed it already: It used the cluster from the PPC601 powered GC systems. Interestingly enough there seem to be 2 versions in existence. 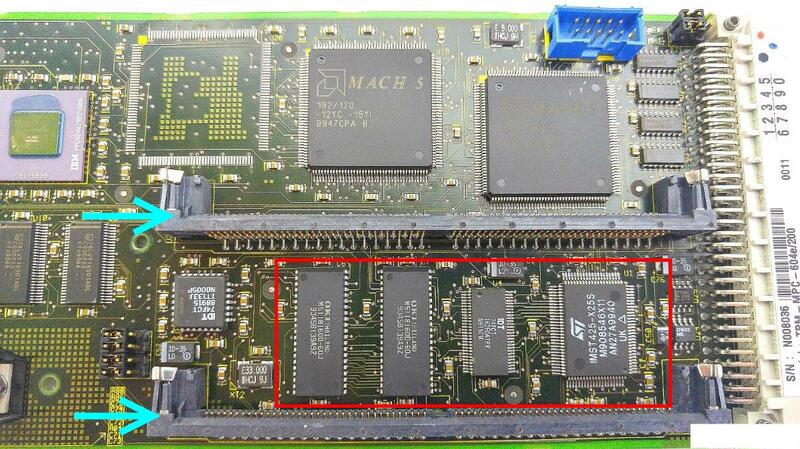 At least the German computer magazine c’t reported in May 1994 that there’s a 2 CPU and a 4 CPU PowerXplorer… and featured the two below images as a proof. Maybe the 2-CPU model was a beta-model or even using early PPC604’s? At least it features SIMM sockets vs. the soldered RAM used in the 4 CPU version. If you’re really-really interested in that model, here’s a big (Click to zoom) picture of the PPC cluster board. I’ve marked the important parts for easier finding. 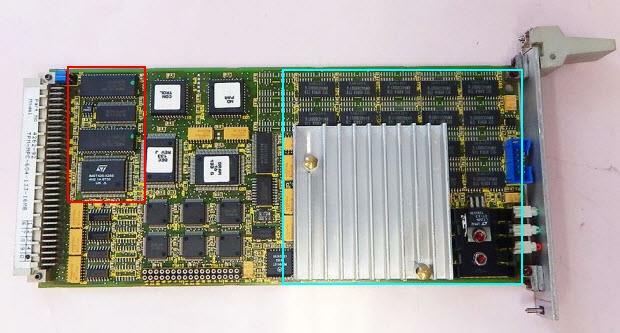 The TPM-MPC (Transputer Processing Module – Multi Processing Card) is basically a single CPU version of the PowerXplorer. So one T425 is handling the link communications and, depending on the revision, a 100, 133 or 200MHz 604e PPC is doing the number-crunching. The Rev.2 model features SIMM sockets for the EDO RAM and has a slightly different layout. The PPC side (heatsink removed) including some drivers and the 3.3V supply. …and the even less impressive back. 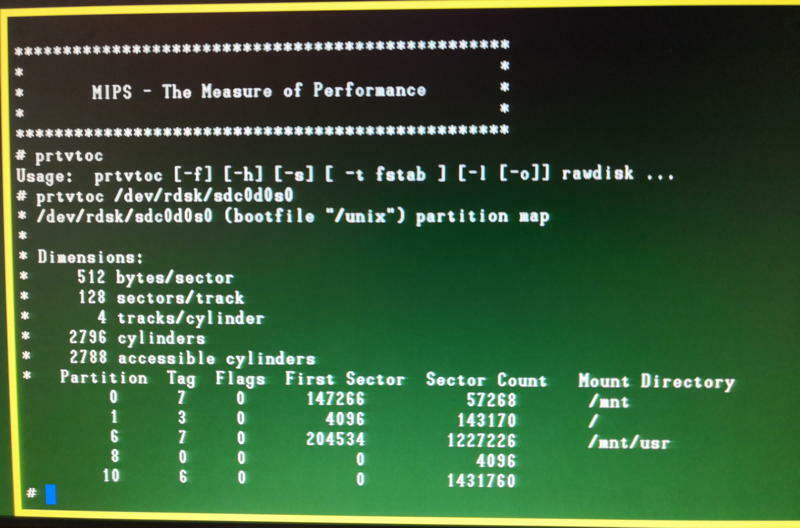 As some ePay auctions mention “taken from RVSI 5700 SYSTEM” I assume the main usage for TPMs were optical analysis/inspection systems which Parsytec built when turning their backs to super-computing.